Nixon is a 2 1/2 yr old DSH. Nixon is a very active and busy boy. 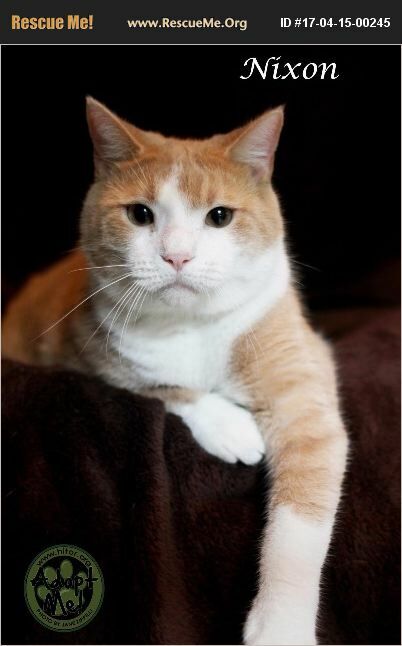 He would do best in a home with teens and adults who have had experience owning cats. He has a lot of energy and needs lots of exercise. Nixon might be able to live in a home with other cats, or do fine by himself.